How does a Carbon Laser Peel work? The carbon laser peel treatment is ideal for quick, quality skin rejuvenation right before something where you want to look your best. The carbon peel is pain free, and usually has no downtime whatsoever. 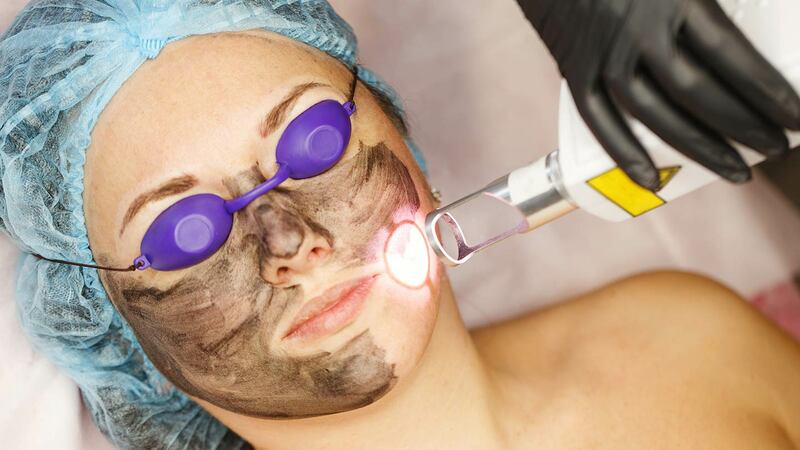 The treatment works by applying a very thin layer of liquid carbon to your skin. The laser energy is then absorbed by the carbon particles, zapping away the carbon – and removing dead skin cells, contaminants and oil. The treatment is highly effective for treating oily skin, blackheads, enlarged pores – giving you an instant, fresh looking glow and soft, smooth feeling skin. How many ‘China Doll Facials’ would I need? You will see an instant improvement in your complexion after only one treatment – however for the best results a course of carbon laser peels are recommended. At Laser + Holistic Aesthetics we generally recommend that you have a carbon peel once every 2-4 weeks. This allows new collagen to start forming, keeping consistent results that build on each other over time. The total number of carbon laser peels will depend on your cosmetic goals and any other treatments you are currently having. In most cases, people will go with four treatments spaced over about two months.